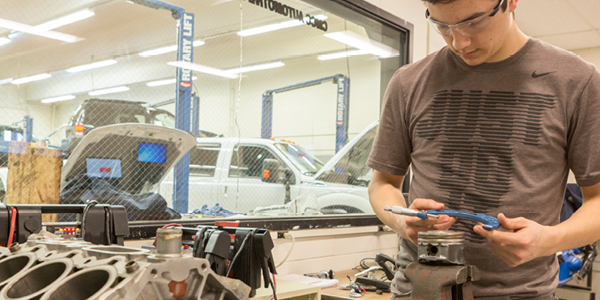 The Ford ASSET degree at Central Maine Community College is a state-of-the art program alternating classroom and laboratory training with paid, on-the-job experience in a Ford dealership. The Ford ASSET program is a collaborative effort of Ford Motor Company, Ford dealers, and Central Maine Community College. Ford ASSET & Dealer Track students living on campus for 1/2 the semester when they are on-site for dealer training will be charged 1/2 the room/board rate for each semester they are doing on-site training, beginning the 2nd semester of their schooling at CMCC.